How to tell balanced vs unbalanced cables apart. I will start with unbalanced cable, simply because if you don’t know the difference between the cables, you will probably own a majority of unbalance cables. They tend to be cheaper, which has a part to play and can usually get you by until you start taking audio a little more seriously. 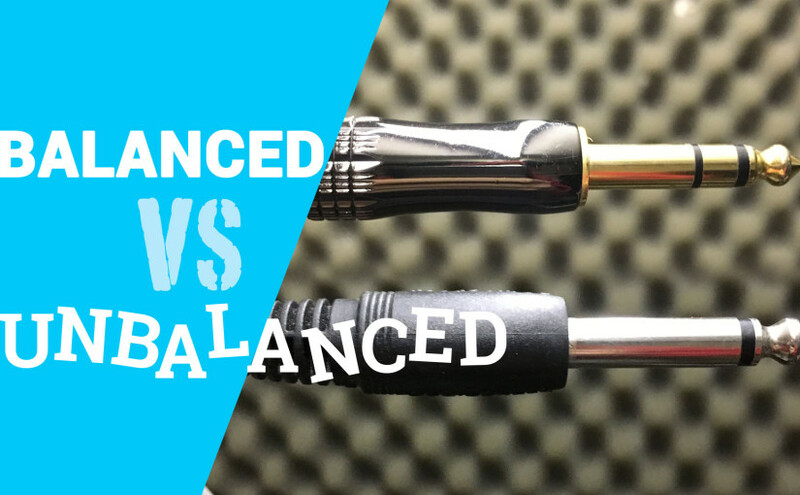 probably the most common type of unbalanced audio cable is the good ol’ fashion guitar cables, but you will also find that most keyboards use unbabalced connectors (basically guitar cables) and unbalanced is also used for patch cables. Let’s look at the images below to see what we should look out for. 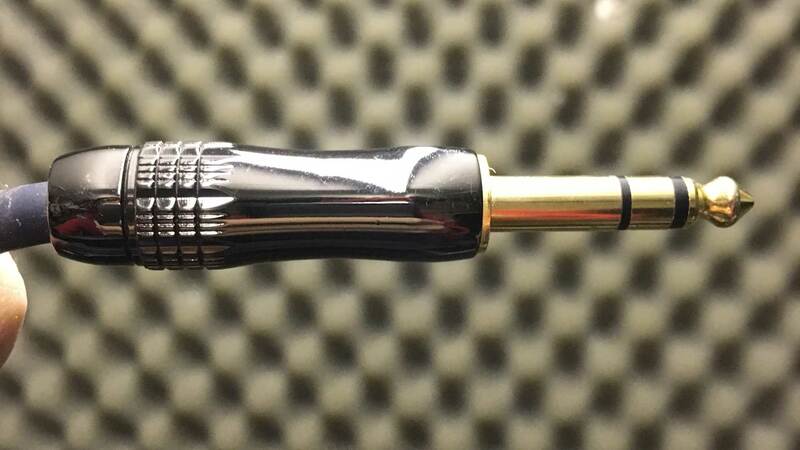 you will notice that there is a black (though the colour can vary) line that divides the jack plug into two parts; the metal tip and the metal sleeve – this connector is called a TS connector, which simply means TIP and SLEEVE. ONE black line indicates that there are only TWO internal cables. One carries the audio signal, and one is the earth. If there are TWO black plastic lines on the jack plug/connector, then it is likely you are looking at a balanced cable. The two plastic lines divide the tip into three sections. The tip, the ring and the sleeve – thus is is called a TRS connector which simply means TIP, RING, SLEEVE. The three parts of the connector means there are three internal cables and here in lies the mystical magical voodoo that makes this balanced audio thing work. And I find it pretty fascinating – yes, I’m a geek. Duh. So how does this balanced cable work? 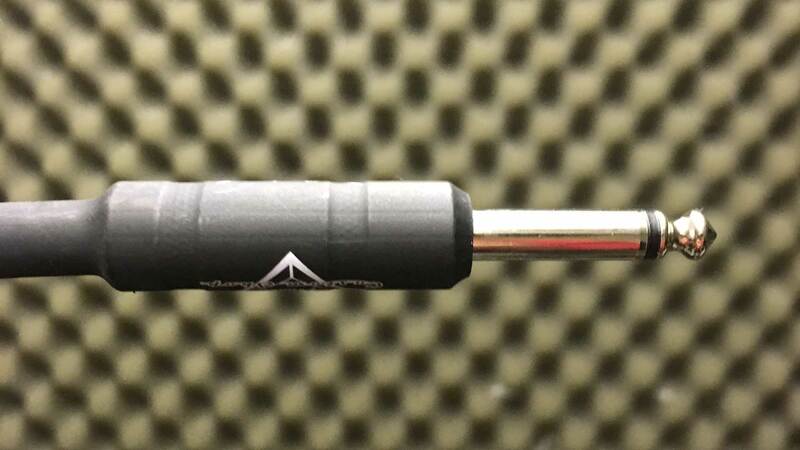 Well, with the three sections of the TRS or XLR connector, it allows us to have three internal cables, this is the magic number for balanced audio. One of those internal cables is the “earth” – same as with the unbalanced cable, but now we have two cables that carry the sound signal. This is similar to how a stereo cable would work, two internal wires that carry the left and right signal, except in balanced audio, both wires carry the SAME signal – but with a sprinkling of magic that helps made it a ‘balanced’ cable – the magic is phase. What’s phase? Ok, yeah I guess we need to know a little about phase, and that means we need to know about audio waves. You might be about to glaze over and think this is getting very scientific, but if you have used any DAW, such as logic pro, pro tools, cubase etc., then you will see audio waves regularly shown as waveforms in your arrange window. These waveforms are a representation of the audio that has been recorded in your DAW. Let’s look at a basic sound wave. Phase and audio thats out of phase. As you can see, essentially the same sound is being recorded by each microphone, but they are just slightly out of sync, or phase. At small amount of this isn’t a massive problem, but becomes more and more noticeable the further out of phase the sound becomes. Until finally at 180 degrees out of phase, the signals are hitting the microphones at a perfectly offset time and the sound is being cancelled out completely. So now you have an understanding of phase; that’s good, because phase is the magic ingredient that makes balanced audio work, and it’s so beautifully, elegantly, simple. If you remember, we discussed that balanced cables are good for long runs or cabling, either in the live or studio environment. Balanced cables prevent the unwanted interference that can be picked up by unbalanced cables. But how does it work? So lets think about it. If we send a sound signal down a wire and it got to the to the other end it could have picked up some interference. If we sent the same signal down TWO wires, when it dot to the other end, it could still have picked up a great deal of interference. But what if the signal was sent down the wires OUT OF PHASE? From one end of an XLR lead or TRS lead the signal is sent out of phase. Still haven’t figured it out yet? The two wires, carrying the out of phase signal, pick up interference on the way, the same as in the previous example. The interference that is picked up, is the same in both wires and IN PHASE with each other. But once it gets to the other end of the wire, the phase inverted signal is flipped. which now means that the sound signal is IN PHASE and it is the interference that is perfectly OUT OF PHASE and thus, cancelled out. Thank you, that was very helpful and cleared my anxiety on the subject. I just bought some new monitors for my studio and experiencing a buzz. I thought it was the cables I bought but looks like they are balanced. I am getting an interference elsewhere causing my monitors to buzz and was unsure if I had bought the correct cables. but after your explanation looks like i did buy the right ones. 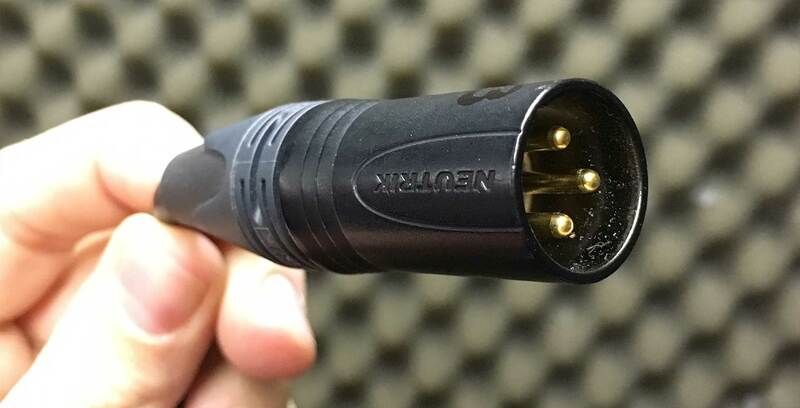 When you use an adapter to change a balanced XLR connection from a mic to a camera’s unbalanced TS (tip-sleeve) 3.5mm mic input, an unbalanced connection results. What actually happens is that the hot/positive (+) and ground from the XLR get connected to the corresponding hot/positive/tip (+) and ground/sleeve on the 3.55mm plug while the cold/negative (-) connection from the XLR is shunted to ground or left unconnected at the adapter, effectively cancelling it. You get no noise reducing benefit from the balanced wiring coming from the mic in this case. Next Next post: Odeon Limitless – is it a Good Deal?